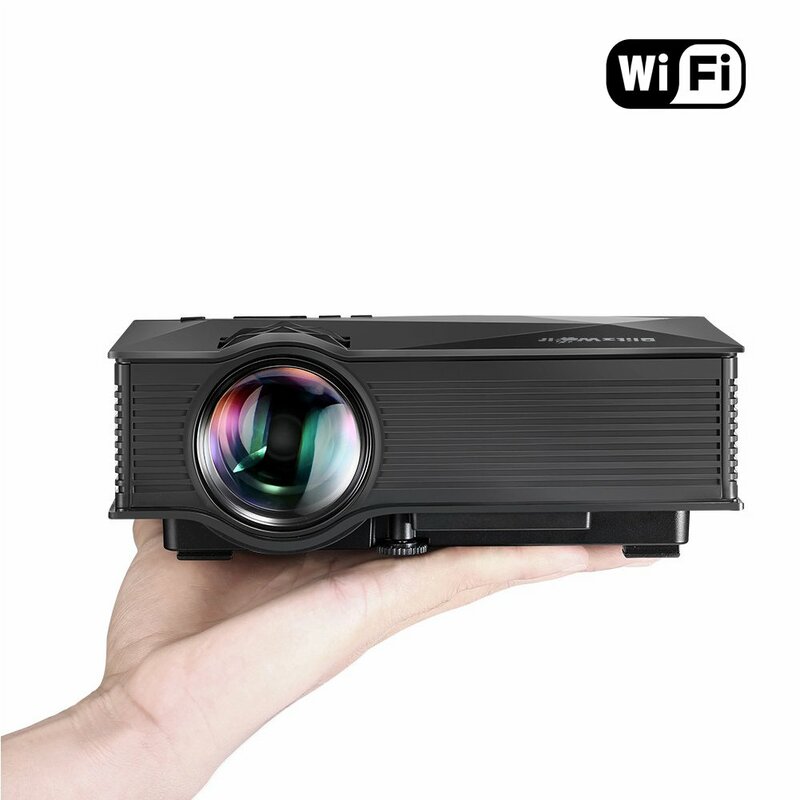 Home › Electronics › Portable Wifi Projector Blitzwolf 1200 Lumens Led Wireless Home Theater Suppo..
Portable Wifi Projector Blitzwolf 1200 Lumens Led Wireless Home Theater Suppo..
A 130" TV Screen --- By adjusting the distance to the wall, the display size can be 50''(4.95ft), 70"(7.22ft), 100"(9.32ft), 130"(12.47ft) of high definition. 20,000hrs Durable Lamp --- 55W 1,200Lumens LED bulb, 20,000hrs super long lifespan, displays 16.7 million colors, with loud speaker. Arty Appearance --- Polyhedron case design, your place is not only a theater with this case, but more artistic and modern.